I have been playing Bass for 50-years, including electric Bass guitar (fretted and fretless, in video) and Bass Viol. I began teaching music in the parochial system in NY after which I relocated to Los Angeles. 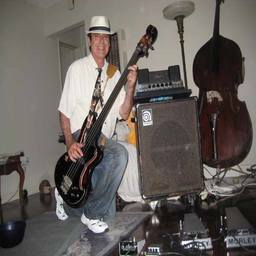 I have been a sideman on Bass in movies, records, and dozens of live ensembles from Dixieland to Jazz, Rock & Roll, Blues and Country. My own band Saturday Night Bath began performing Blues and R&R for at-risk youth in 1984, and our audience is now over 32,000. Some of my private students have gone on to their own careers.